HURRICANE — Two vehicles were disabled and one person was taken to the hospital after an afternoon crash in Hurricane Monday afternoon. The incident took place on State Street at approximately 3:45 p.m. The impact pushed the Ford 500 sedan across State Street and partially into a field on the opposite side. The Dodge pickup was disabled in the center of the road. 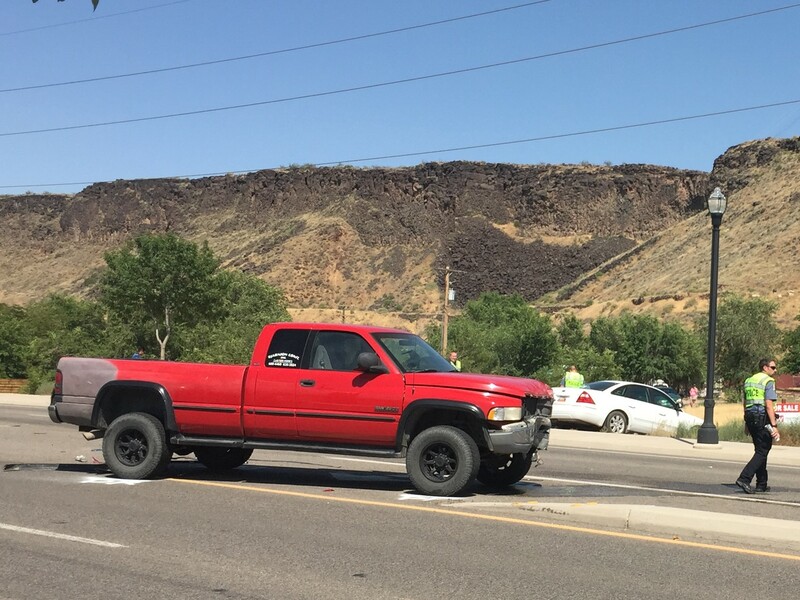 Mower said the driver of the Ford 500 sedan was taken to Dixie Regional Medical Center in St. George with unknown injuries, while the Dodge pickup driver was uninjured. Both vehicles were disabled and had to be towed from the scene. Traffic was slowed through the area for about 45 minutes. Citations are still pending, Mower said. Hurricane City Police, LaVerkin City Police, BLM personnel and the Hurricane Valley Fire District responded to the scene.